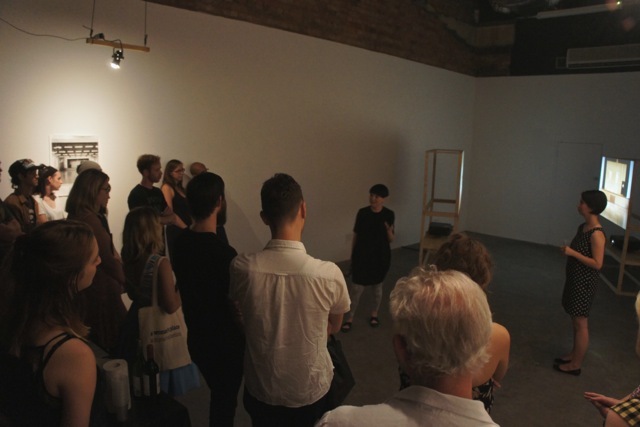 Stages is a collaborative exhibition by Melbourne-based artists, Clare Rae and Simone Hine. Both artists follow in the tradition of feminist art practices, using their own body to examine broader ideas related to the conditions of feminine representation. This is coupled with an interest in the relationship between stillness and motion as it relates to the medium of photography and moving images. Rae performs fleeting actions that are suspended in time, creating a tension between what is present and what is implied. 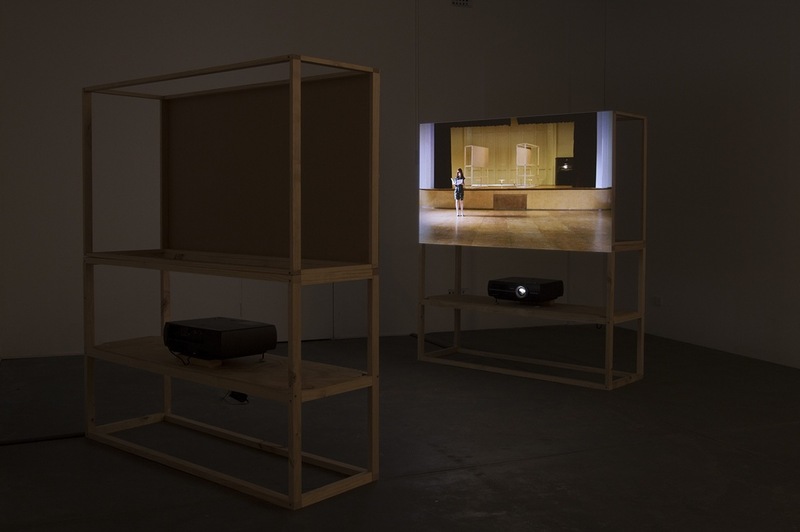 Likewise, Hine creates video and performance installations that exist through time, but oscillate between still and moving scenes. Stages will present new works by Rae and Hine that take the Rosina Auditorium at the Abbotsford Convent in Melbourne as their locations. Both artists will bring their own aesthetic and line of questioning to this very particular space. The convergences mark a shared history of art and the divergences mark the individual response of each artist to the location. Together, both artists present works that are defined by the space, while also contributing to a redefinition of the space. 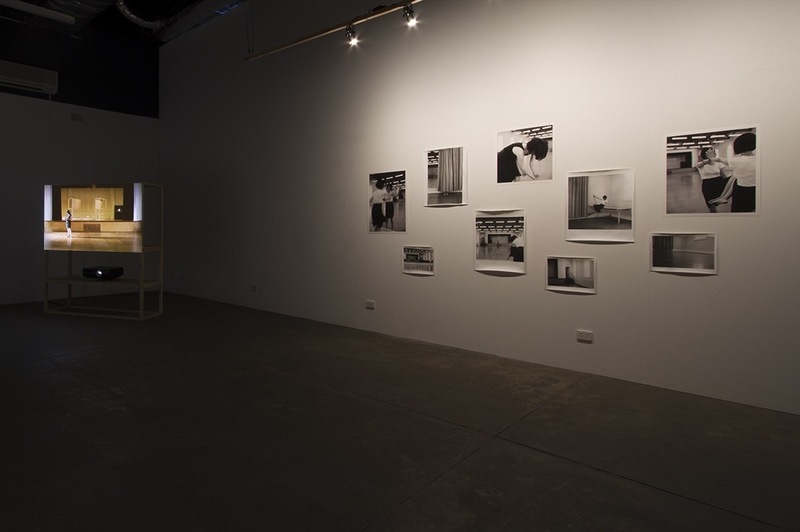 Image: Simone Hine and Clare Rae Stages (installation view) 2014. Courtesy the artists.